These are the best and most fun math riddles we can find. Some of these trickymath riddles are based on real math concepts and can be solved with purely math and logic. 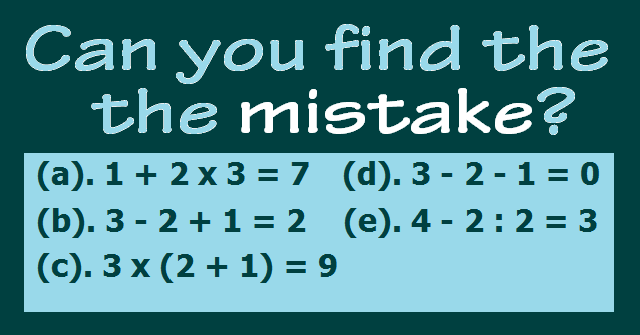 You will find this post if you search math riddles for kids, easy math riddles, maths riddles and puzzles, math riddles brain teaser, maths riddles with answers, maths brain teasers, interesting maths puzzles with answers, tricky math riddles, math puzzles for kids with answers, and brain teaser puzzles. Q: What is the largest number you can get from using just two digits? Hint: It's not 99. Q: Where do fish keep their money? A: In the river bank. Q: What has a face and two hands but no arms or legs? Q: What 4 days of the week start with the letter ‘t’? A: Tuesday, Thursday, today and tomorrow. Q: What goes up and doesn’t come back down? Q: If two’s company and three’s a crowd, what are four and five? Q: Which month has 28 days? A: All of them of course! Q: What’s the easiest way to double your money? A: Put it in front of a mirror. Q: What has a thumb and four fingers but is not alive? Q: What occurs once in every minute, twice in every moment and yet never in a thousand years? Q: What occurs twice in a week, once in a year but never in a day? Q: If there are 4 apples and you take away 3, how many do you have? A: You took 3 apples so obviously you have 3. Q: How did the soccer fan know before the game that the score would be 0-0? A: The score is always 0-0 before the game. What do mathematicians eat on Halloween? Pumpkin Pi. Why did the math book look so sad? Because it had so many problems. A circle is just a round straight line with a hole in the middle. Why do plants hate math? Because it gives them square roots. Why did the boy eat his math homework? Because the teacher told him it was a piece of cake. Have you heard the latest statistics joke? Probably. What did the acorn say when it grew up? Geometry. What do you call an empty parrot cage? Polygon. Cakes are round but Pi are square. How can you make time fly? Throw a clock out the window! Q. What do cats read in the morning? Q. There were four cats in a boat, one jumped out. How many were left? A. None. They were all copy cats! Q. What is a cat's favourite color? Q. What game did the cat like to play with the mouse? Q. Where did the school kittens go for their field trip? Q. What kind of cats like to go bowling? Q. Why do cats make terrible story tellers? A. They only have one tail. Q. What do cats eat for breakfast? Q. Why did the cat run away from the tree? A. Because it was afraid of the bark! Q. Why is it so hard for a leopard to hide? A. Because he's always spotted. 0 Response to "Funny Math Riddles for Kids"